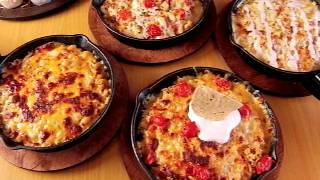 Mr. Mac's is a fast casual restaurant serving everyone's favorite comfort food, macaroni and cheese. We offer 21 signature entrees that each have a unique combination of gourmet cheese, premium pasta and the freshest ingredients. You can even create your combination picking from our tasty selections of cheese, sauces, seasonings, veggies and meats...the possibilities are endless. 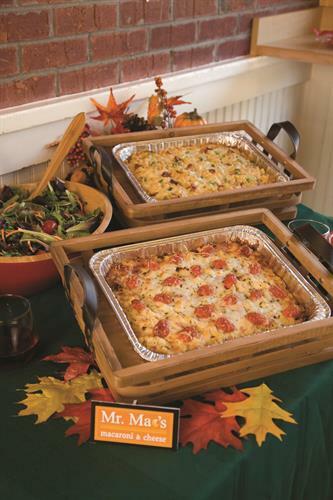 Mr. Mac's serves lunch and dinner and also offers handy Take and Bake Trays (perfect for any party) or Baked-to-Order Trays. The Phantom Gourmet said ''Nobody does it better than Mr. Mac's!'' How many premium Cabot cheeses do we offer? How about the “World’s Best Cheddar”, American, Muenster, Gruyere, Pecorino, Parmesan, Goat, Pepperjack, Mozzarella and Provolone! That’s 10 varieties to choose from, all with very different, distinct and rich flavors. Our best seller is our Classic All American, but our Blazin' Buffalo Chicken, Philly Cheese Steak, and of course our Lobstah Mac make it hard to decide which to choose. 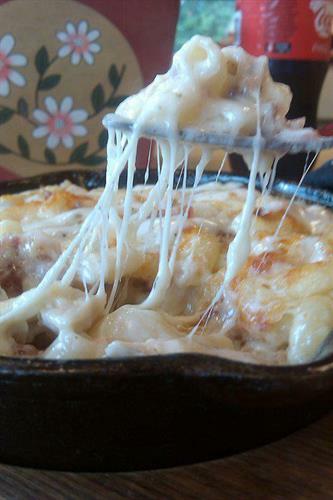 Each entree is skillet baked to order, and we offer gluten free options. 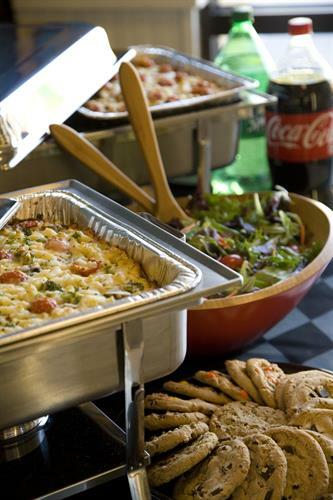 Mr. Mac's Catering is a great solution for any party...at home or at the office. Everyone loves mac and cheese and with our classic tossed green salad and classic wicked whoopie pie...it's a party! 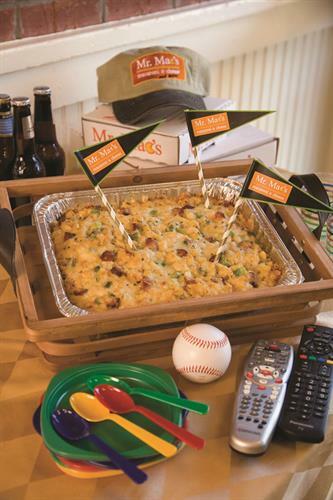 Mr. Mac's a delicious treat perfect for any occasion. Mr. Mac's is also located at 497 Hooksett Road, Manchester, NH and 440 Middlesex Road, Tyngsboro, MA. Eat In. Take Out. Take & Bake! Mr. Mac's is located at 2600 Lafayette Road (Route 1) in Portsmouth, just minutes from I-95. Just minutes from Water Country. Close to downtown Portsmouth and seacoast.